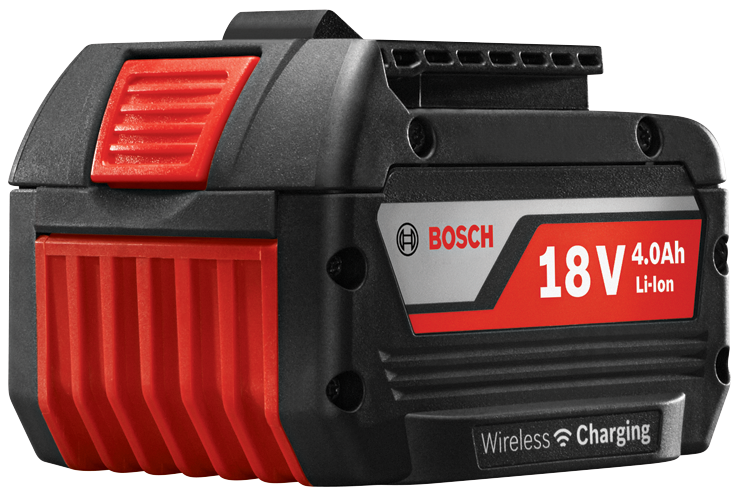 The Bosch WCBAT620 18 V Wireless Lithium-Ion 4.0 Ah Battery delivers 100 percent more runtime than the 2.0 Ah wireless battery, which is especially important for power users who are difference makers on the jobsite. Bosch's CoolPack technology delivers up to 100 percent more recharge life versus other battery packs, as well. Single-cell monitoring maximizes cell usage and life, and each battery includes an LED indicator that shows state of charge. 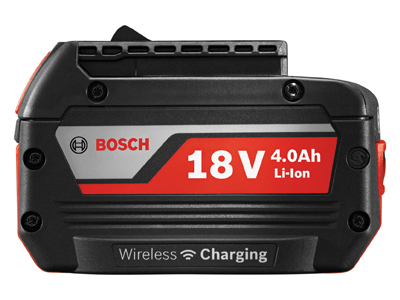 This battery works in conjunction with the Bosch Wireless Charging System, which allows users to charge their tools when they not in use without having to disconnect the battery from the tool.